Few Canadians were left unaffected by 6,669 fires that burned across the country this year, amounting to 3.95 million hectares, according to the National Wildland Fire Situation Report. Among them, were the hundreds of men and women who pilot loaded airtankers above the treetops to battle the nearly 2,000 wildfires that swept across the province this summer. For Conair — a company specializing in aerial forest fire fighting — and its staff of experienced pilots this is a seasonal reality and the driving force behind a new collaboration with Survive and Thrive Applied Research (STAR). The STAR initiative is a catalyst for industry and UBC collaborations that aim to research, test and commercialize new technologies. They seek to address the unique nature of aerial firefighting aircraft operations and the potential this represents for pilot fatigue. This new study will be the first of its kind and will focus on pilot workload and the role that plays in pilot fatigue and overall performance. 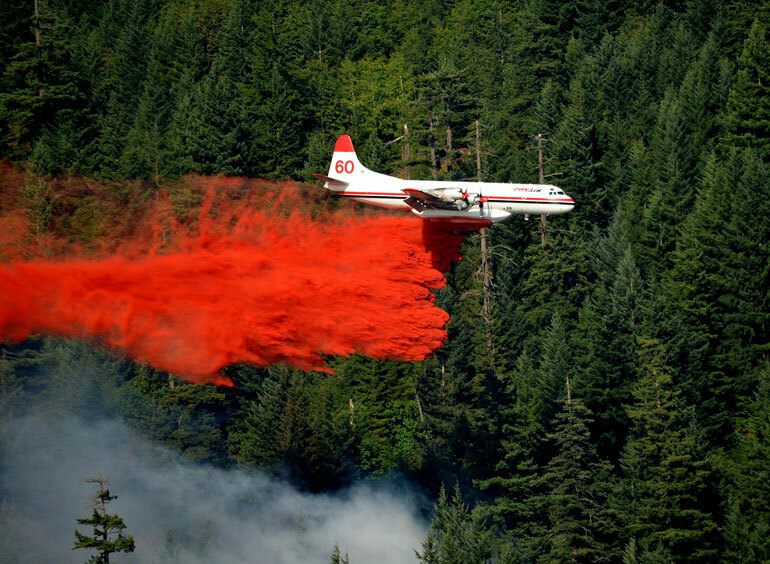 The length of work shifts, hours flown, and “hand flying” fully loaded airtankers through varying conditions and terrain at 150 feet above treetop are factors that differentiate the aerial firefighting pilot group, says Barry Marsden, president and CEO of Conair Group Inc. In July 2015, the Consortium for Aerospace Research and Innovation in Canada (CARIC) announced funding for the innovative project that brings together partners, specially selected for their relevant experience and expertise, from across the country. STAR researchers will collaborate with Camosun College, Latitude Technologies, and Conair to analyze past flight data, conduct fatigue tests in regular and simulator flight scenarios, and attempt to identify and quantify fatigue factors. The combined project has a budget of just over $600,000 over the next 18 months, with participation by industry, the Consortium for Aerospace Research and Innovation in Canada, and other Canadian granting agencies. Camosun College will conduct live field data collection utilizing systems developed for Canada’s “Own the Podium” Olympic team. Latitude Technologies is a global supplier of flight data monitoring, and will assist with airframe and pilot flight data and analysis. STAR assembled an interdisciplinary research team spanning three separate UBC Okanagan faculties, including four professors working as principal investigators, three PhD and master’s-level students, one undergraduate research assistant, and linkages with expertise in three separate research labs. The research is led by UBC researchers Prof. Paul van Donkelaar and Assist. Prof. Chris McNeil, (both with the School of Health and Exercise Sciences), Assoc. Prof. Homayoun Najjaran (School of Engineering), and Prof. John Braun and Assoc. Prof. Jason Loeppky (who both teach statistics with the Irving K. Barber School of Arts and Sciences). “This year’s fire season demonstrates how important this work is to Canadians, and we are pleased that STAR has assembled a world class, interdisciplinary team of professors, researchers, and students to work with industry and post-secondary partners on this important topic,” says Prof. Philip Barker, Vice-Principal Research at the University of British Columbia’s Okanagan campus. PhD candidate Mike Kennefick and McNeil visited firefighters in Penticton, Abbotsford, and Kamloops as well as Slave Lake and Lac La Biche Alta. to gather the necessary data for a project that all parties hope will change the face of firefighting.